For a high level of automation and easy-to-use software—at a mid-range price—the PC-controlled single beam 140 AA and the true double beam 240 AA systems combine rugged and reliable hardware with our acclaimed Windows-based worksheet software. Use multi-tasking capabilities to start a new analysis while simultaneously preparing a report on past results. The 140 AA and 240 AA come standard with the world's leading flame atomization system, the Mark 7 flame atomization system. The Mark 7 spray chamber is simple to use with twist and lock assembly and made from plastic components for durability. 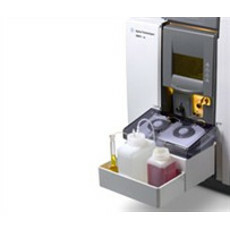 New and used Agilent Technologies 140/240 AA's for sale on LabX below. Find the ad listing you need and get price quotes from a variety of vendors.